Media is buzzing about the Selfie leading to more Plastic Surgery. It is no secret that Selfies and FaceTime allow us to view ourselves and our faces in a new way. Perhaps we are seeing ourselves a little more often because of video chat services like FaceTime, Skype and Google Hangouts. On the other hand, mirrors, photographs and video have been around much longer. The ability to compare past and present in visual form has often provided the motivation for self improvement, and portable video chat technology is yet another way for us to see how we look to others. Are Selfies and FaceTime driving a surge in Facelifts? Physiognomy (from the Gk. physis meaning “nature” and gnomon meaning “judge” or “interpreter”) is the assessment of a person’s character or personality from his or her outer appearance, especially the face. Physiognomy is a double edged sword. It is part of forming a first impression when we meet someone new. It is a starting point that helps us to interpret whether someone is friend or foe. Study after study shows that initially we prefer attractive faces. This is not a learned behavior and can be demonstrated in infants as young as 6 months of age. While Physiognomy becomes less important for relationships after we get to know someone, it is an initial metric that is undeniably inherent in being human. Studies of job interviews show that all other variables being equal, attractive people are more likely to get the job and to get the promotion. Attractive sales people are more likely to make the sale. Many of my San Francisco Bay Area Plastic Surgery patients mention the desire to maintain a successful career as part of the reason for getting Plastic Surgery. 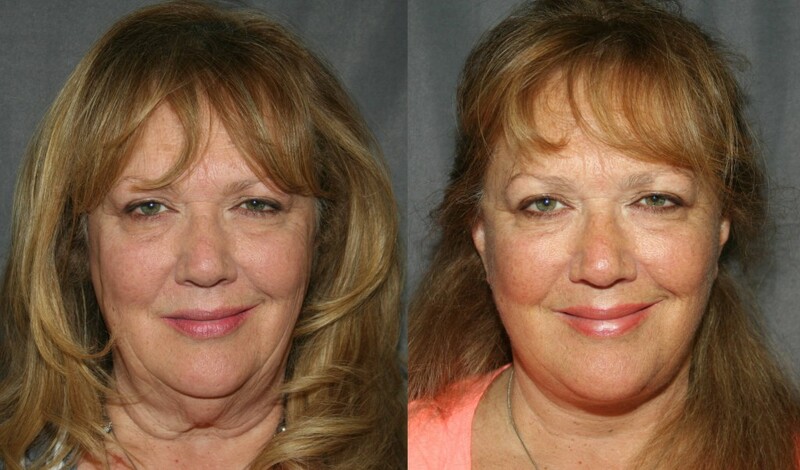 One of the more popular procedures as we get older is the Facelift or Rhytidectomy. Facelifts can reverse signs of aging and remove lines associated with worry, fatigue and even anger. The Facelift is unique in that it can reverse signs associated with aging and diminish facial animation lines associated with fatigue, disinterest, anger or worry. Face Lift or Neck Lift? Neck Lifts and Face Lifts both treat the neck. The procedures are very similar, and they are usually performed together, so really you don’t have to choose between the two. The difference in the names is more an indication of where the emphasis is placed, rather than a difference in techniques. Below is a view of the face not usually seen on FaceTime or in a Selfie, but is often seen in the photographs patients bring in as an illustration of what they want fixed. Often, pre-Facelift and pre-Rhinoplasty patients will purposefully avoid profile pictures until after their procedures. 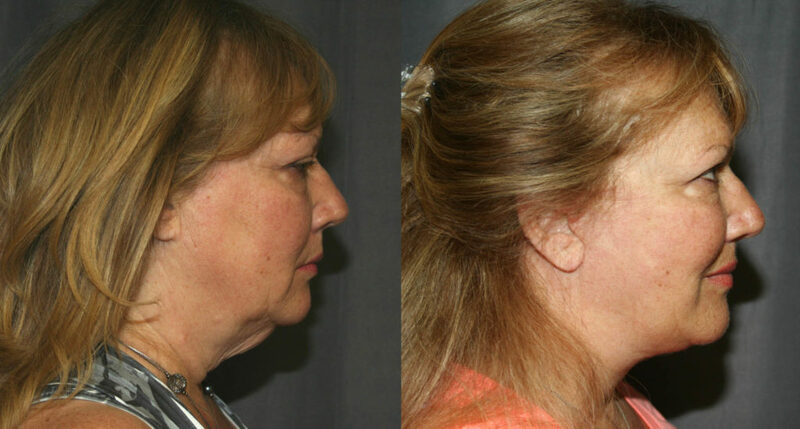 Before and After Neck Lift as seen from the side. Loose skin under the chin is removed and the angle between the neck and chin is improved. Facelifts also improve jowls, clean-up the jawline and reduce the loose skin that accumulates around the mouth and sides of the nose as we age. When considering a Face Lift, Neck Lift, Mini Facelift or any other Facial Plastic Surgery, be certain to get the advice of an experienced and Board Certified Plastic Surgeon. We Board Certified Plastic Surgeons dedicate our professional lives to learning and refining the techniques specific to Facial Rejuvenation and applying these techniques uniquely for each of our patients, and it’s a great job to have. 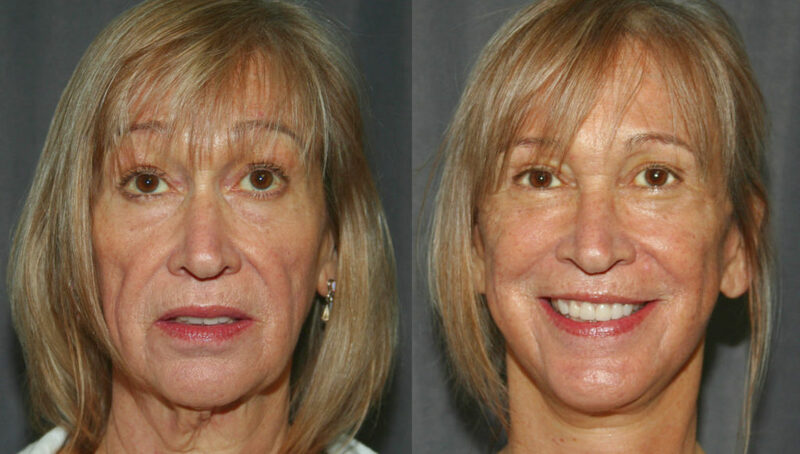 During your personal Face Lift Consultation, you can expect a frank discussion of not just the risks and benefits of the procedure, but more importantly the options available to correct the aspects of your appearance that you would like to see improved. To schedule your private consultation, call (925) 943-6353, or use the contact form in the margin.